Thirty years ago, Kovalam was a hippy idyll: a picture perfect tropical beach; a traditional fishing village providing fresh fish, fruits and toddy (coconut beer). Today this tiny beach is the focus of a multi-million dollar business, drawing thousands of tourists for a week dose of ozone, UV and a refreshing Indian Experience. Kovalam was brought to the public eye by the Maharaja of Travancore. The southernmost, known as the -Light House beach- is the most popular. Enjoy the beach and remove your hang over of the long trip. After Breakfast 09:30 am Proceeding to Trivandrum Local Sight seeing. The ZOOLOGICAL PARK: (10.00am to 6.15 pm- Closed on Mondays). One of the first Zoos in India. It is located in a well planed Botanical Garden, with huge trees, sprawling lawns and wild fowl swimming in the lakes which feel like a small jungle in the heart of the City. A reptile house with different species of snakes is also located in this premise. PRIYADARSHINY PLANITORIUM, (Daily shows from 10.00 am to 5.00 pm) Finish your sight seeing trip on or before 05:00 PM and return back to KOVALAM Beach… enjoy the sunset and return back to Hotel. Day 3rd- After Break fast 09:30am check out from the hotel. With lot of memories, Friendship & Thousands of Photograph. The Cab Will Drop you at Cochin/ Trivandrum Railway Station / Airport. Evening visit: PADMANABHA SWAMY TEMPLE: This temple is located inside the East Fort. 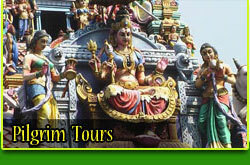 Dedicated to Lord Vishnu, the Temple is a blend of the Kerala and Dravidian styles of architecture. 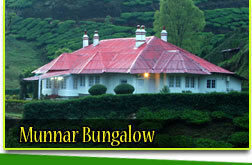 It is known for its mural paintings and stone carving. Only Hindus are allowed inside the temple. (Dress Code : DHOTHY Dress Code : DHOTHY for men and SAREE for women) Visit, Pothenmedu View Point, Blossem Park Evening by 05:30Pm coming back to Hotel. After Breakfast 09:30 am Proceeding to KANYAKUMARY. Kanyakumari is located at the southern tip of the Indian subcontinent. The beach is covered with rock and sand .Lot and lot of peoples flock to this place in the morning to see the sunrise and in the evening to see the sunset. In some particular days you can see both the sunset and the rising of moon at the same time . Places to Visit: VIVEKANANDA ROCK, BEACHES, TRAVANCORE PALACES, TRIVENI SANGAMAM. Day 4th - After Break fast 09:30am check out from the hotel. With lot of memories, Friendship & Thousands of Photograph. The Cab Will Drop you at Cochin/ Trivandrum Railway Station / Airport. After Breakfast 09:30 am Proceeding to NEYYAR DAM. Return back to town- Lunch Break. Afterthat Proceeding to VELI TOURIST VILLAGE…..This picnic spot, where the Veli Lake meets the Arabian Sea, offers boating facilities. Pedalboats and paddleboats can be hired to explore the charms of the lagoon in a leisurely manner. Evening 05:30 pm return back to Hotel. Day 5th - After Break fast 09:30am check out from the hotel. With lot of memories, Friendship & Thousands of Photograph. The Cab Will Drop you at Cochin/ Trivandrum Railway Station / Airport. Thirty years ago, Kovalam was a hippy idyll: a picture perfect tropical beach; a traditional fishing village providing fresh fish, fruits and toddy (coconut beer). Today this tiny beach is the focus of a multi-million dollar business, drawing thousands of tourists for a week dose of ozone, UV and a refreshing Indian Experience. Kovalam was brought to the public eye by the Maharaja of Travancore. The southernmost, known as the -Light House beach- is the most popular. Enjoy the beach. Varkala is a seaside tourist resort and spa. It is also an important religious place for the Hindus.The Papanasam Beach at Varkala is a quiet, secluded beach known for its white, silvery stretch of sand, mineral springs and rocky cliffs. High cliffs from mineral springs majestically rise is a scene typical of Varkala. Enjoy Beach. Board on to the House Boat from Alleppey : Check in to the Hopuse Boat at 12.00 Noon with the Arabian Sea in the West and a vast network of Lakes, Lagoons and fresh water rivers criss - crossing it, Kumarakom /Alleppey is referred to as Venice of the East by travelers from across the world . This backwater country is also home to diverse animal and bird life house boat cruise through narrow canals- Pathiramanal Island – Virgin village paddy fields historical places – Temples- Snake boat- Coconut beer shop (Toddy shop)—R Block Island – Kuttand village etc. Distance covered on each day will be 35 to 40 Km on an average /Day. Enjoy spectacular lush green paddy fields, where you may enjoy an unique Meals served will be of typical Kerala cuisine. 1.) 06:00pm to 07:00am- Boat will Anchored & it will be idle in the lake. (As per GOVT- rule, village people need to put the net in the lake for fishing). 2.) Air Condition will function in the bed room from 09:00 pm till 06:00 am only. Day 6th - After Break fast 09:30am check out from the hotel. With lot of memories, Friendship & Thousands of Photograph. The Cab Will Drop you at Cochin/ Trivandrum Railway Station / Airport. After that Proceeding to VELI TOURIST VILLAGE…..This picnic spot, where the Veli Lake meets the Arabian Sea, offers boating facilities. Pedalboats and paddleboats can be hired to explore the charms of the lagoon in a leisurely manner. Evening 05:30 pm return back to Hotel. Day 7th - After Break fast 09:30am check out from the hotel. With lot of memories, Friendship & Thousands of Photograph. 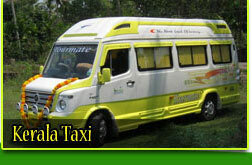 The Cab Will Drop you at Cochin/ Trivandrum Railway Station / Airport.